BG Xpress® Power Steering Fluid Exchange System | BG Products, Inc. 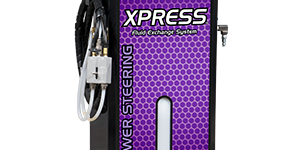 The BG Xpress® Power Steering Fluid Exchange System quickly and efficiently removes spent power steering fluid while simultaneously installing new power steering fluid. Power steering fluid operates under extreme pressures and temperatures, eventually causing it to break down and become contaminated. Fluid contamination leads to deposit formation. 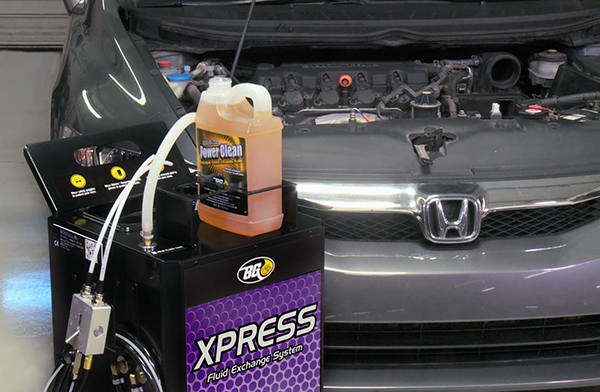 The BG Xpress® cleans the entire power steering system and then drains contaminated power steering fluid, while simultaneously installing fresh power steering fluid. This method ensures that all the contaminated fluid is replaced and removes abrasive wear metals and debris that grind away valves and seals. 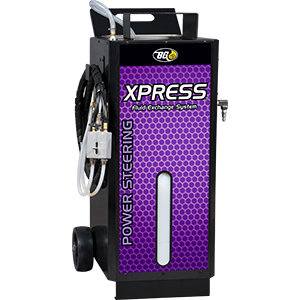 BG Xpress® is a part of the BG Power Steering Service.